Being arrested for and charged with a DUI can have major impacts on your life. You will likely have your license suspended, if not completely revoked. You could face high court costs, fees, and other penalties. You could serve jail time. You may even lose your job or, at the very least, your employability will be impacted. A DUI charge is nothing to take lightly, so here are 6 steps that you should take immediately after being charged with one. While some counties will allow you to be released from jail immediately after you’ve been charged—so long as someone picks you up and pays your bail—others will require you to stay in jail overnight, until you sober up. Whichever circumstance you find yourself in, the best step to take is to find yourself a ride home. Most likely, your license will be suspended immediately upon being charged with a DUI, so you certainly don’t want to risk driving yourself home and adding another charge to your docket. Before you leave the jail, you’ll be given a notice that includes the date you are to appear in court regarding your DUI charge. Whatever you do, do not lose, forget, or dismiss this date. Immediately after you get home, record the date and time of your court appearance on your calendar. Contact work and anyone else you need to to ensure that you have no conflicting appointments on that day. While some attorneys may try to tell you that you always need to hire a DUI attorney to handle your court hearing, that is not exactly the case. In fact, the majority of DUI cases are very cut and dry, and most judges consider your blood-alcohol content (BAC) to be enough evidence to convict you of a DUI. And with stricter DUI laws enacted in recent years, there is really very little wiggle room to get around a DUI charge and its usual repercussions. However, there are certain circumstances in which it is valuable to hire an attorney. The most obvious of these is if you intend to plead not guilty in your court hearing. 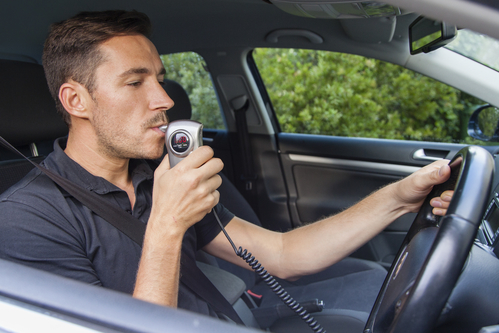 If you believe the breathalyzer was faulty, or if you failed the field sobriety test despite the fact that you were not drinking that evening (this may be due to anxiety or other circumstances), then you need an attorney to help you build the case for your innocence. Additionally, an attorney can help to guide you through many of the necessary steps mentioned in this article to ensure that things go as smoothly as possible. Even if you plead guilty and are convicted of a DUI, an attorney’s guidance can help you complete necessary steps sooner, so that you can get your license back and get back to your normal life more quickly. So, based on the factors mentioned above, determine if it will be beneficial to you to hire a DUI attorney. If you believe it is, contact one as soon as possible. While you wait for your court date, you won’t have a license to get around like you normally would. So, you’re going to have to make alternative arrangements. Sometimes, the court will grant a hardship license that will allow you to drive yourself to work or to school. If not, you’ll have to arrange for someone to drive you to these places, or else figure out the public transportation system in your area. Depending on how you plan to plead, there will be different things required of you. If you’re pleading guilty, you’ll simply need to look your best and bring along any paperwork requested from you. If you’re pleading not guilty, you’ll have to do a lot more prep work, which you should probably have an attorney assisting you with. This might include recording your recollections of what happened that evening, getting testimonies from people who were with you, and so on. Even if your driver’s license is currently suspended, you should probably start learning about SR-22 auto insurance now. Download an SR-22 form, and contact your insurance agency to talk about what you can expect for your new insurance rates. Be aware, you insurance premiums are likely going to rise significantly, and will remain high for some time. There are many more steps you will need to take after appearing in court, and it’s important that you follow through with any classes, probationary periods, or other requirements given to you at the hearing. If you feel that you need professional guidance through this process, consider contacting a DUI attorney for assistance.